"I always feel like I can take on the world when I leave here!" Reiki is a Japanese word meaning “life energy.” The practice of Reiki is a gentle hands-on technique that promotes healing through deep relaxation, stress reduction and opening and enriching the flow of energy through the body. Our energy, (Ki in Japanese and Chi in Chinese) can become depleted or blocked from the everyday stresses of life or trauma. When this occurs we typically experience sensations of tightness and discomfort in specific regions of the body. In times of grief or heartache it is not uncommon to feel a weight on the chest or to have difficulty taking a full breath. This is just one example of the many ways our mental or emotional turmoil is experienced in the body. If this dis-ease or blockage of energy persists, disease may develop. 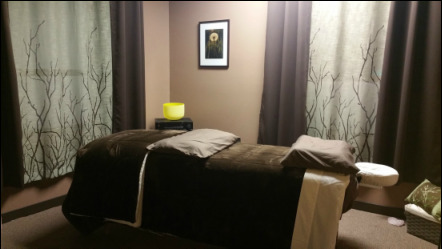 Through the infusion of calming Reiki energy, the client is able to relax and the body's ability to heal is enhanced. During a Reiki session at Your Sanctuary For Healing the client lies fully clothed on a massage table. The practitioner works from head to toe, laying hands on or over the body. Reiki energy flows through the practitioner's hands to the client. The client may feel warmth from the practitioner's hands and will feel a deep sense of relaxation throughout the body.